The muesli from the last post can be transformed into a delicious crunchy granola with the addition of a small amount of oil, maple syrup and a slow, gentle roast in the oven. That's it really. 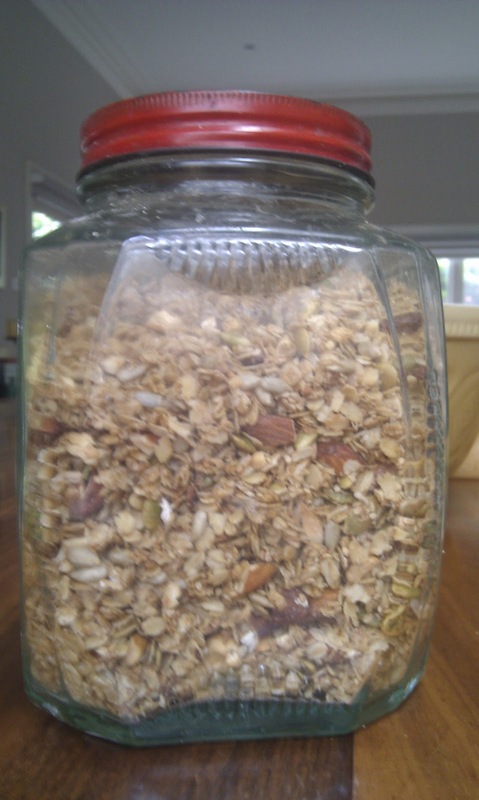 I've never worked from a recipe for muesli or granola, because it is so simple. 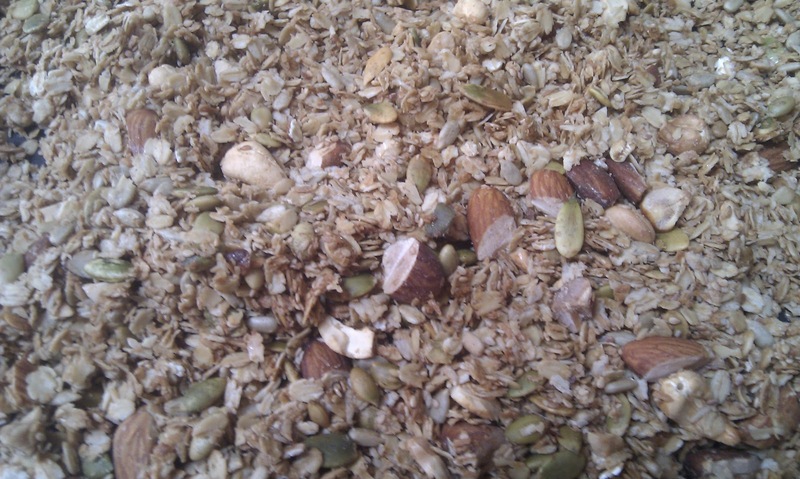 Mix together a batch of your own muesli. It is a good idea to add some raw nuts and coconut as they are lovely when roasted. Drizzle roughly 3 - 4 tablespoons of a good quality oil onto the muesli, and stir in thoroughly. I like to use extra virgin olive oil, or rice bran oil. Organic sunflower oil works well too. 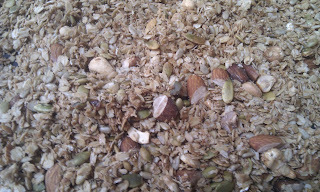 Just add enough so that the oats are not wet, but you can see that they have been slightly coated. Then add an equivalent amount of maple syrup. The idea is to just give a slight sweetness, not make it really sweet. Spread the mix out onto a couple of baking trays and place them into an oven that has been heated to 150C. The granola is done when the mix turns a slight golden colour. Every 5 - 10 minutes give the trays a bit of a stir to move the mix around so there are no burnt bits.